Diesel Oil Poisoning is the accidental or intentional intake of the compound. The intake may be through swallowing diesel oil or inhaling its fumes. What is Diesel Oil Poisoning? What are the Causes of Diesel Oil Poisoning? What are the Signs and Symptoms of Diesel Oil Poisoning? The signs and symptoms of Diesel Oil Poisoning can vary from one individual to another. It may be mild in some and severe in others. Several systems of the body, such as the digestive system, respiratory system, vascular system, nervous system, skin and ENT may be affected. How is First Aid administered for Diesel Oil Poisoning? Who should administer First Aid for Diesel Oil Poisoning? 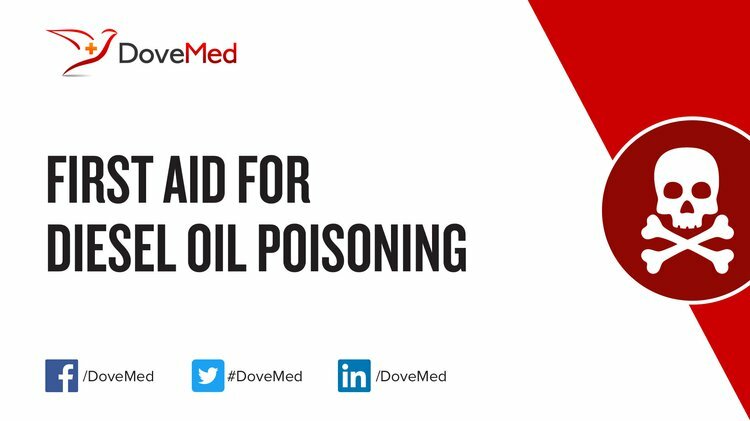 First aid for Diesel Oil Poisoning is administered by healthcare professionals. What is the Prognosis of Diesel Oil Poisoning? How can Diesel Oil Poisoning be Prevented? Bona, C., Rezende, I. M. D., Santos, G. D. O., & Souza, L. A. D. (2011). Effect of soil contaminated by diesel oil on the germination of seeds and the growth of Schinus terebinthifolius Raddi (Anacardiaceae) seedlings. Brazilian Archives of Biology and Technology, 54(6), 1379-1387. Nwaichi, E. O., Wegwu, M. O., & Nwosu, U. L. (2014). Distribution of selected carcinogenic hydrocarbon and heavy metals in an oil-polluted agriculture zone. Environmental monitoring and assessment, 186(12), 8697-8706. Zhao, J., Ren, W., & Cheng, H. M. (2012). Graphene sponge for efficient and repeatable adsorption and desorption of water contaminations. Journal of Materials Chemistry, 22(38), 20197-20202. Abioye, O. P., Agamuthu, P., & Abdul Aziz, A. R. (2012). Biodegradation of used motor oil in soil using organic waste amendments. Biotechnology Research International, 2012. Özyazıcıoğlu, N., Polat, S., & Bıçakcı, H. (2011). The effect of training programs on traditional approaches that mothers use in emergencies. Journal of emergency nursing, 37(1), 79-85. Li, Y., Li, W., Gao, H., Xing, J., & Liu, H. (2011). Integration of flocculation and adsorptive immobilization of Pseudomonas delafieldii R‐8 for diesel oil biodesulfurization. Journal of chemical technology and biotechnology, 86(2), 246-250.